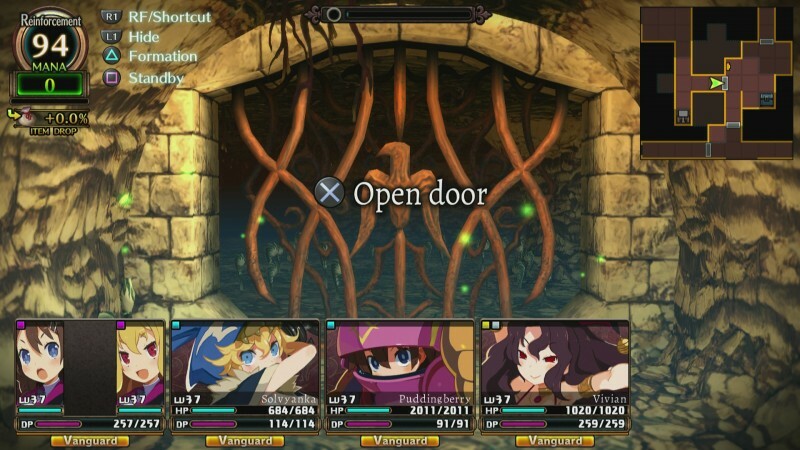 Fans of classic dungeon-crawling, rejoice – Labyrinth of Refrain: Coven of Dusk offers many enjoyable hours of smashing walls to find secrets, exploring winding and mazelike maps, and fighting massive bosses. As Dusk Witch Dronya, you use a magical book to create a highly customizable puppet army that explores the depths of a huge labyrinth. While story bits are plentiful between crawls, the focus is on a successful cycle of of exploration, combat, and customization. From a selection of puppets, you can build the perfect army. While you begin with simple tools like mages, tanks, and rogues, you can mix and match abilities to create insanely powerful characters. The same is true of equipment, as you can infuse your best weapons and armor with other pieces of loot. You’re constantly upgrading and using multiple resources to forge the ultimate team; you can field up to 15 different characters active in combat, and many more supporting them. The gameplay loop is immensely satisfying, and you always feel like you’re growing. I enjoyed grinding out levels and gear to take on some of the optional, more difficult encounters. 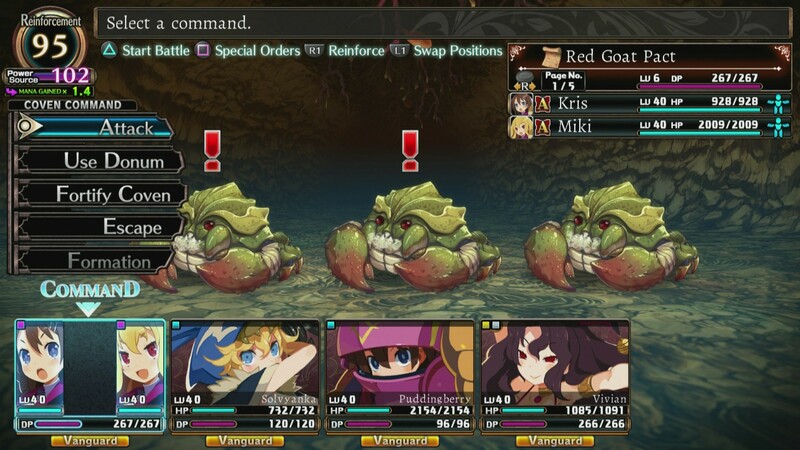 Leveling can get dull at times, moving from autobattle to autobattle as you work up a stack of experience, and some levels contain baffling frustrations like pits that are easy to walk in, killing your whole team, or rows of unavoidable poison. The story goes to some insane places. On the surface, you’re attempting to find some special items below the dungeon while you defy your old master, but the ludicrous and bizarre developments defy any kind of traditional storytelling; it’s entertaining, if not the stuff of Shakespeare. 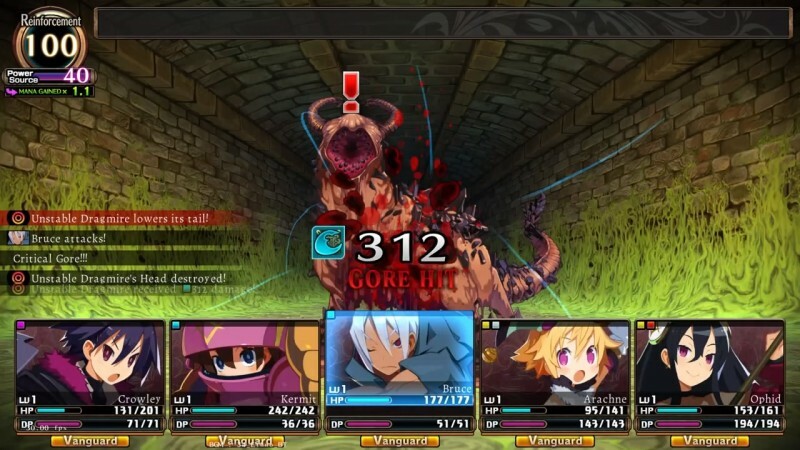 As with many dungeon crawlers, the story is simply window-dressing for a layered exploration experience as you move though maps and dungeons. Epic boss battles form milestones during your travels through a multitude of environments, from dark caves to lavish towers. The unlock trickle even continues into the post-game if you want another 20 hours of content and a multitude of ultra-tough boss encounters. You take on a variety of enemies in each area, including elite enemies marked on the map that you can avoid if you’re not feeling up to the challenge. Instead of solving big puzzles, you get some freeform tools to unlock secrets, like being able to smash through walls, set up portals, and hide from roving foes. The allure is sublime as you move from environment to environment, an addictive progression romp that always keeps you fiending for a rare drop or a new pact. Pacts are items you find or create that allow you to form your characters into covens, which come in myriad forms. 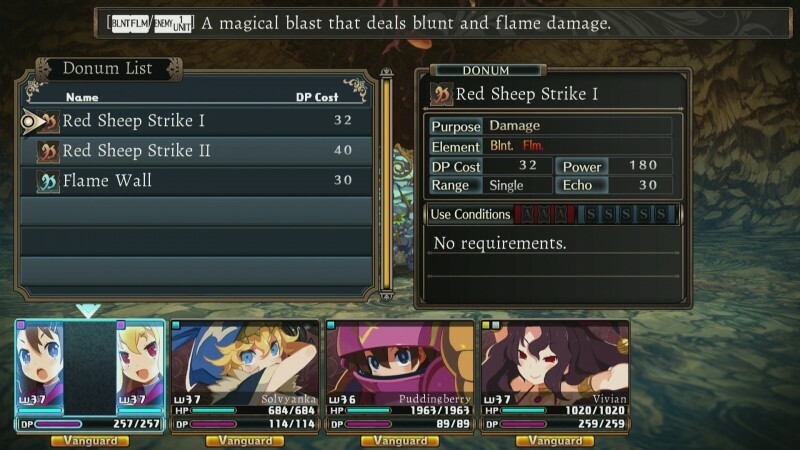 One pact may supercharge a single character from multiple support units, others may allow you to level up a support very fast at the cost of your main unit’s experience gain. Some support three characters, others two, others one, and they often come with other restrictions as to what kinds of characters can be slotted. These pacts add a cool wrinkle, allowing you create teams designed to cast ultra-powerful spells, burst with insane critical damage, or guard and take massive assaults. Mixing and matching pacts with your characters is great, and lets you make interesting decisions with your team composition. 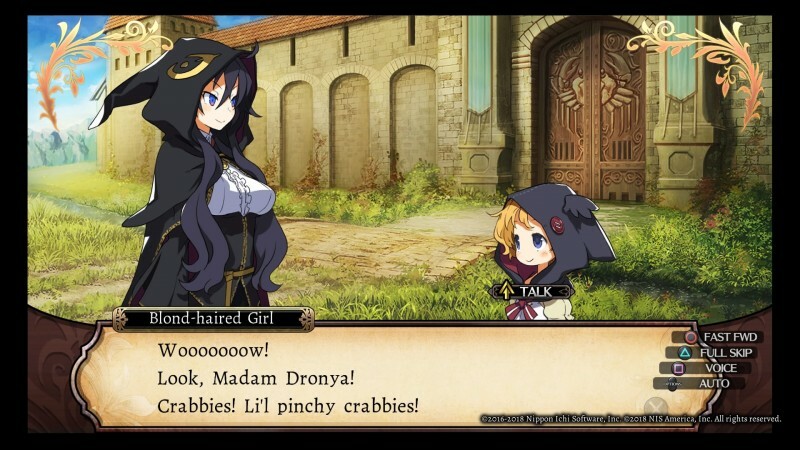 Labyrinth of Refrain is an excellent dungeon crawler that brings some cool new features to the table. While the title can be grindy at times and includes some frustrating maps and encounters, the core systems underneath are a joy to tinker with for hours. Classic dungeon exploration and monster slaying in a snazzy package. 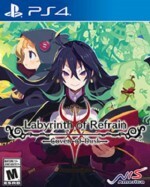 Entertainment Labyrinth of Refrain is an enjoyable dungeon crawler, though it can be grindy and combat can feel automated when all your gears are in place.